Compare: The Fukushima disaster in astrogeography, Uranus on Midheaven and in Opposition to Hiroshima, Astrogeographical position of the Nuclear Power Plant of San Onofre, Astrogeographic position of Moscow & past and future transits, The Astrogeographical Position of Kiew and Transits for the Ukrainian Government, The Deep Water Horizon Incident in astrogeography . The Chernobyl Disaster on April 26 1986 at 1:23 local time in Chernobyl, Ukraine was one of the biggest disasters ever caused by man. It had a global impact through contamination with radioactive radiation and even more through the political consequences of historical dimensions. It had a significant influence on the Glasnost, Perestroika and Dissolution of the USSR processes and thereby contributed to the end of the Cold War. Astrogeographic position of block 4 of the Chernobyl Reactor for morphogenetic field level 3 which describes the atmosphere and energetical topics of the site of the reactor itself: one coordinate lies in highly cautious, self-protective earth sign Virgo the sign of reason, careful routine, protection of nature, plants and health and an indicator for the enormous efforts and preparations necessary to handle the controled nuclear chain reactions inside the reactor block. The coordinate for the astrogeographical latitude at the midpoint of the reactor block 4 lies right on the divide between highly alert, defensive water sign Scorpio sign of strongholds, defense, containers, bunkers, metal working and of transormation processes and dynamic, mental fire sign Sagittarius sign of unhindered expansion and growth, magma, lava, the cleansing fires and hell. For this role of Sagittarius compare my article Hawaiʻi Volcanoes National Park in astrogeography. In natal and mundane astrology Sagittarius is known for its role as an indicator for arsonists. As a fire sign Sagittarius is to be examined as the potential indicator for the heating up of the reactor. Even more so because Uranus was rising in that sign during the development of the disaster. Astrological Chart for the Chernobyl disaster calculated for 26 Apr 1986 at 1:23. Uranus the possible astrological significator for Uranium was rising (conjunct the ascendant) as the catastrophy began under a Mercury-Mars square – the indicating constellation for the mismanagement of the situation at 1:23. Mercury the planet of clever management and voluntary reactions in Aries is to be seen as the initiator of the attempt to stop “a sudden power surge” (Uranus rising) through an emergency shutdown (Mercury in house 3 the house of learning, curiosity, immaturity). Mercury`s square to Mars in Capricorn the sign of control and experience in house 1 put the pressure on the controlled and controllable processes of the management of the reactor. At the same time the opposition of Venus at the “fat end of Taurus” (29°) and in house 5 with the Moon on the last degrees in scorpio during the disaster points at the possibility of distraction of the managment of the reactor through consumer habits. 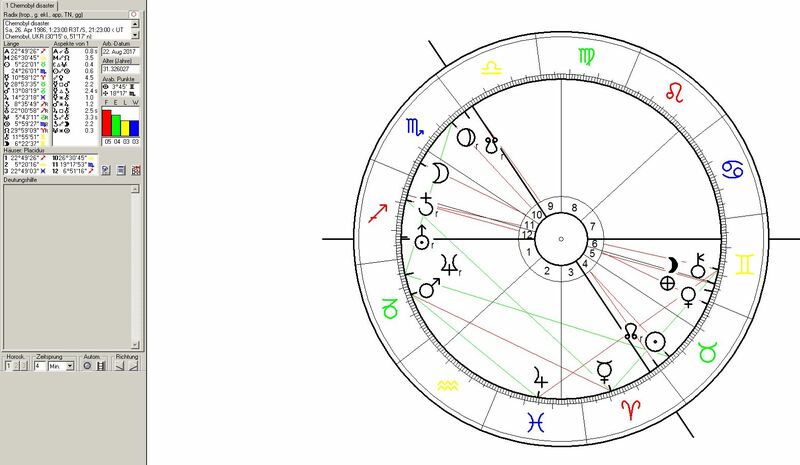 The Sun-Pluto opposition of the Chernobyl disaster took place between 6°Scorpio (Pluto) and 5°Taurus (Sun) in nearly exact square to the astrogeographical position of the Ukrainian capital Kiev. This constellation stads for the extreme pressure on the Ukrainian government that arose through the Chernobyl disaster. Astrogeographic position of the Chernobyl reactor for morphogenetic field level 1 which describes the supraregional, international, worldwide topics of resonance of the reactor: one coordinate lies at 2° in creative, innovative air sign Aquarius the sign of the sky, heaven, inspiration, explosions and potential astrological indicator for uranium. The disaster ocurred during an exact opposition of the Sun at 5°Taurus with Pluto at 5°Scorpio square to the 2°Aquarius coordinate of Chernobyl. 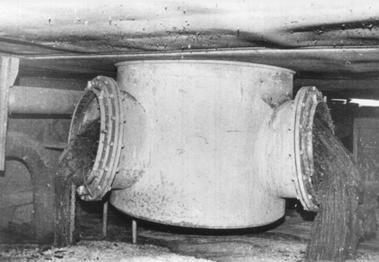 The fact that both the Sun and Pluto had already crossed the exact square degree at 2°Taurus/Scorpio is an indication that the cause for structural problems at the reactor managment and probably not the reactor technology might have been installed between 1 and 2 years before the disaster. The fact that the disaster occurred 2 days after the full moon opposition between the sun at 3°Taurus and the Moon at 3° Scorpio indicates that the atmosphere of tension at the reactor site was actually about to relax. This means that decreasing caution and careless management have to be examined as the main issues and not the energetical tension inside the reactor. The second coordinate lies on 27° in service orientated air sign Libra the sign of openness and angels. 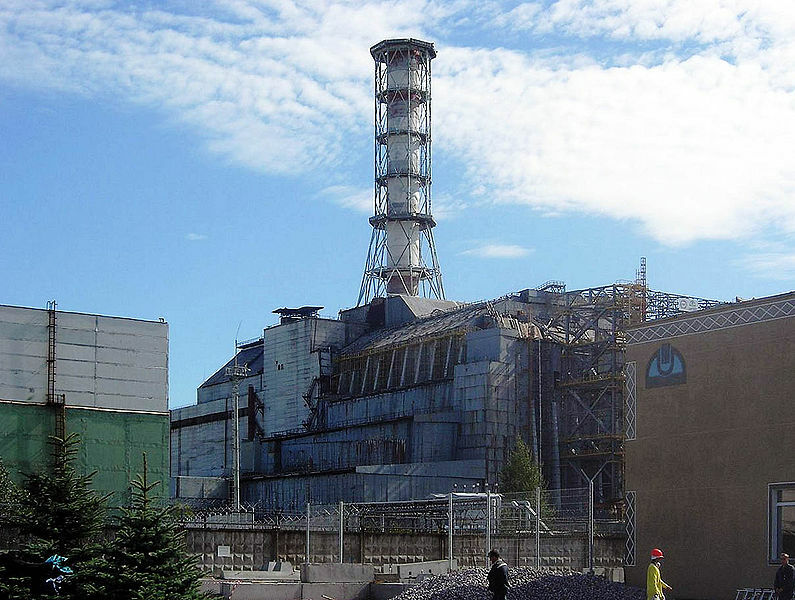 The fact that the disaster happened 2 weeks after the South Node had ingressed into Libra and was approaching the astrogeographical coordinate at 27°Libra in house 10 is an indication that a chain of unsolved issues in the control of the reactor management and responsible political authorities was dealt with by the disaster. The 2°Aquarius coordinate of the Chernobyl reactor site for field level 1 the supraregional, worldwide level of resonace lies in exact square to the astrogeographical position of Moscow at 2°Taurus. Aquarius relates to Uranus the triggering planet which was on the ascendant during the Chernobyl catastrophy. Uranus is the indicator for Uranium, the radioactive fall-out set free, the explosions within the reactor and for the political change that the disaster effected in the Soviet Union. Politically the square between Aquarius the sign of revolution, liberation and political change and Taurus the sign of the possession of land, market places and financial profits stands for the confrontation between the Soviet Satellite States and Moscow on the topic of territorial and financial independence from Moscow. Moscow`s astrogeographical coordinate in Taurus resonates with the role of the Russian Capital as the center of the largest territory possessed by one capital worldwide.